So Cute!! Solid built home in a tranquil setting on 2 acres of fenced land with mature trees. First floor master and full bath. Large eat in kitchen with lots of work space and pantry closet. Separate dining room and living room with hardwood flooring. Upstairs with 3 additional bedrooms and full bath. House is much larger than it looks from the outside. Full walk out basement. 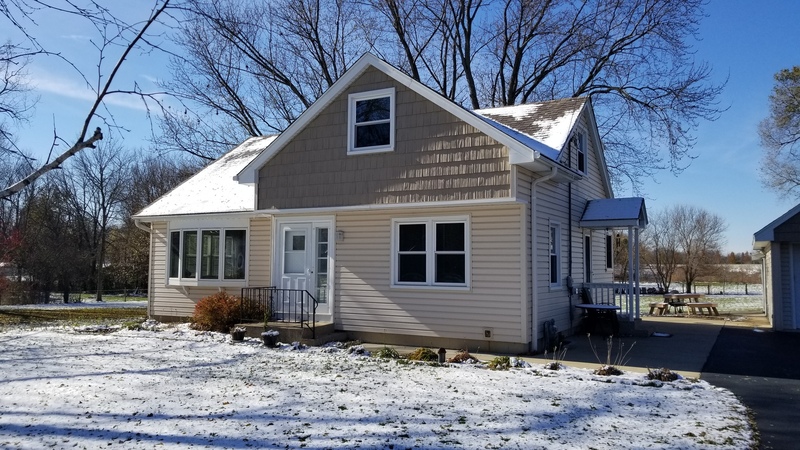 Roof, siding, windows, and storm door replaced within last 5 years. Two car garage with loft for extra storage. Separate work room for man cave or she shed. Huge patio for entertaining or stargazing. Parking for all your recreational vehicles or toys. Rare opportunity to live in serene setting and yet close to shopping and restaurants. PRICED TO SELL Won't last long. Lakes High School. Low taxes! 132 & 83 N to Petite Lake Rd, west to N West Park, left to house on right. I was searching on Blue Fence and found this listing. Please send me more information about 38788 North West Park Avenue , Lake Villa, Illinois 60046. Thank you.